I am back in Michigan to stay. Yesterday morning, I finished packing up the car, loaded up the dog, and said goodbye to what had been my adopted home state for more than a decade. I still need to find a house and move the rest of the family (and all of our stuff) to Michigan, but my life as a Virginian is over. Although I am excited to be home in Michigan, Virginia will always be a special place to me. I met many amazing friends whom I will miss dearly. 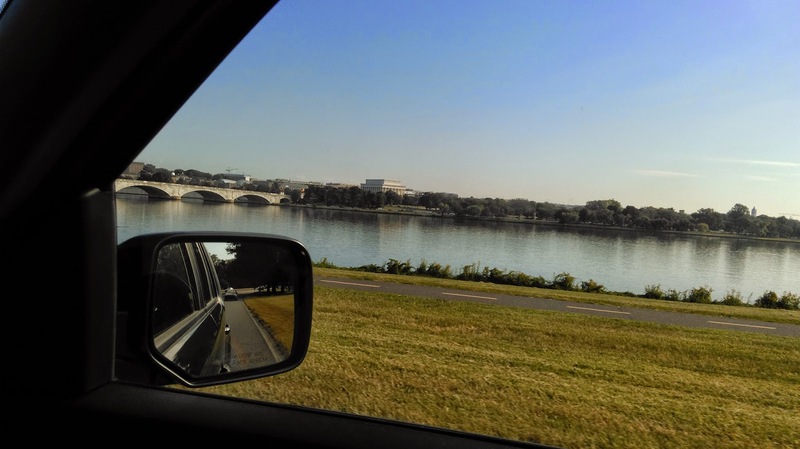 I asked my wife to marry me in Virginia...though we did get married right across the Potomac River in Washington, D.C. (I will miss the many things D.C. has to offer too). Soon after we were married, we got a dog together, the first for both of us since childhood, from a rescue group in Virginia. I became a homeowner for the first time in Virginia. I nervously rushed my wife from that home to the hospital twice and both times felt the pure wonder of holding a newborn daughter for the first time. I spent countless sleepless nights trying to get those girls to sleep so my wife and I could sleep for at least a few minutes and be slightly more human than zombie at work the following day. I saw first steps and heard first words in my Virginia home. I held hands, laughed, sang songs, told stupid jokes, danced silly dances, told tall tales, read books, wiped away tears, and did so much more in that home. Although Michigan never stopped being home, Virginia was home too.